What Should You Know About an Agent Before You Hire Them? It pays to do your research before hiring an agent to help you sell your home. Here are five questions that you should ask every agent that you talk to about the job. Looking for a Sioux Falls home? Click Here. Selling your Sioux Falls home? Click Here. 1. How many homes have you sold? If you’re going to have heart surgery, you wouldn’t want a surgeon to do the operation who has only done a few of them. This is a huge investment, so experience matters. Things come up all the time in real estate transactions and when you have someone who is experienced with the process, it could save thousands of dollars. 2. What sets you apart from other agents? Does the agent offer professional photography or professional staging? Do they have a list of things for you to do to prepare your home for sale? These things all matter when trying to sell for top dollar. Do they offer professional photography or professional staging? 3. How will you communicate with me? I speak to a lot of sellers who are unhappy with their previous experience because they didn’t feel the agent communicated well enough. You should know how they intend to communicate with you upfront so you can be sure that they are watching the market to protect the equity you have in your home. 4. Will my home be a featured listing? If your home is featured on websites like Zillow, Trulia, and Homes.com, it shows that your agent invests in marketing your home. 5. Do you offer an easy-exit agreement? If you’re not happy with the services your agent is providing, you should be able to cut ties so that you can hire someone who will get the job done. 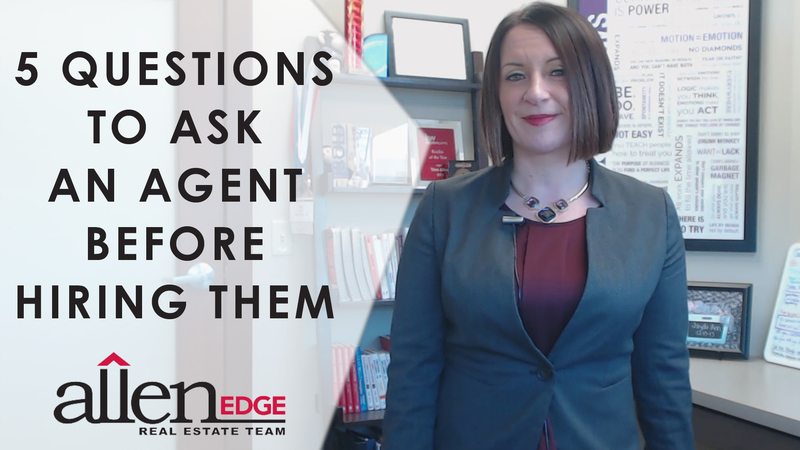 These are just a few of the many questions you should ask every agent before you decide to hire them. If you need any advice or want to know our answers to these questions, don’t hesitate to give us a call or send us an email today. We look forward to hearing from you soon.